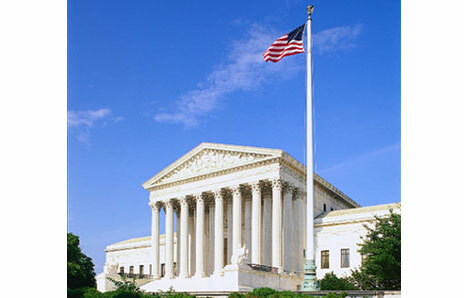 The United States Supreme Court issued two long awaited and employer friendly decisions today. Both relate to issues raised under Title VII of the Civil Rights Act of 1964. Vance v. Ball State University: Who is a Supervisor? Under Title VII, employers may be strictly liable for harassment by a “supervisor.” Employers may also be liable for harassment by a co-worker, but only if the company knew or should have known of the co-worker’s conduct and failed to take prompt and appropriate corrective action. A question that remained disputed until the Vance decision was who qualified as a supervisor under Title VII. The Plaintiff in this case was a catering assistant in the Ball State University Dining Services Department Banquet and Catering division. She alleged that another Ball State employee, a catering specialist, had created a racially hostile work environment. The Plaintiff sued Ball State University for workplace harassment by a supervisor. The Plaintiff argued that because the catering specialist could direct her day to day work, the catering specialist was a “supervisor” for purposes of Title VII. The Court rejected this argument and held that, to be a supervisor for purposes of Title VII, a person must have the power to take a “tangible employment action” against the targeted employee. According to the Court, someone must be able to “effect a significant change in employment status, such as hiring, firing, failing to promote, reassignment with significantly different responsibilities, or a decision causing a significant change in benefits” to qualify as a supervisor and create strict liability for an employer. University of Texas Southwestern Medical Center v. Nassar: What is the Standard of Proof for Retaliation Claims? At issue in this case was the standard for proving retaliation in a Title VII case. The Plaintiff, a former faculty member at the University of Texas Southwestern Medical Center, alleged that he was denied a job because he had written a prior resignation letter in which he alleged race discrimination in the workplace. The University argued that, regardless of any retaliatory intent, the University had legitimate business reasons for opposing the hiring of Plaintiff by a hospital that had a staffing agreement with the University. The question before the Court was whether the plaintiff had the burden of proving that retaliation was a “motivating factor” in the decision not to rehire him, or whether he had the greater burden of proving that “but for” unlawful retaliation, he would have been hired. Some history provides important context for this question. In 1991, Congress amended Title VII to establish the level of proof necessary to prove discrimination in violation of the statute. After the amendment, employees needed to show that the discrimination was a “motivating factor” in the employment decision in order to recover. Once an employee establishes that race was a motivating factor, the burden shifts to the employer to show that it would have taken the same action anyway. This is a lower standard of proof than that applied by the Court in other areas, such as age discrimination under the ADEA, where “but for” causation is required. The impact of these decisions, which are considered employer-friendly, will be widely felt. There were vigorous dissenting opinions filed in both cases, and most likely there will be some strong disagreement with the decisions. Congress may step in and change the result with new legislation. We will all be watching closely to see the reaction to today’s decisions.